When was the last time you promised yourself to save, invest, pay bills on time, or shy away from impulsive buying? Was it just yesterday, last week, last month or in your list of New Year’s resolutions? Then again, a follow-up question would be, were you able to follow it? These questions may sound as only rhetorics to some but, unfortunately, if you had that notion in mind, you might want to start reflecting on your personal finances as early as today. I can’t blame those who answered no to the last question but, for those who said yes, amid a volatile, uncertain, complex, and ambiguous world, they deserve respect and commendation in the domain of personal finance. A cluttered mind unarguably helps fudge your finances, which leads to financial tumble that is detrimental to your aspirations. Clearly, you would want to safeguard your dreams and make sure you achieve them. That is why something that would keep you always reminded and grounded is important. This is where mantras play a critical role, in a way that they also serve as the beacon to the hopeless. Live frugally. This is also known as living within your means. This sounds ordinary for most of us, but it is worth mentioning a million times. One of the mental models proliferating is that rich people continue to be rich because they think and live their lives as if they are poor or broke. On the other hand, the poor remain poor because they think and live their lives as if they are rich. Whether you are poor or rich, you need to have a mind-set of being thrifty because financial resources are scarce and time is finite. Delay gratification. We are generally hardwired to have our needs and wants in an instant. There is nothing wrong with this, but one must be wary of his/her financial limits because negligence on this domain causes one to be financially inept or, worst, disabled. This is simply a matter of knowing your priorities and finding the right time to spoil yourself. Again, this is about striking a balance between your needs and wants according to your financial situation. I just want to highlight that being financially fit is not about depriving yourself of everything the world can offer, but it is more about knowing where you are right now financially to know if you have the ability to acquire what you want. If not, delay it for a while, then work hard to earn and own it. Prioritize settling your debts. We are oftentimes advised that debt must be paid off as soon as possible, but the question is, which debt should be paid first? In this kind of scenario, relying on the children’s counting rhyme of “eeny, meeny, miny, moe” would definitely not work. Instead, a combination of sound practical judgment and taming your emotional flares are needed. The most important thing that one must ponder on is the interest rate embedded in each of these debts, together with the principal. The objective is to immediately identify which of the debts would potentially give you the biggest burden or has the potential to compound interest. These two should be analyzed simultaneously because a higher interest rate alone may not necessarily give you a much higher debt to be paid off, especially if there is a high disparity in the principal amount compared to the other debt. These are some of the mantras you can adopt to straighten your financial life. As you go along, you would be able to come up with your own mantra, since this actually emanates from one’s personal experiences. 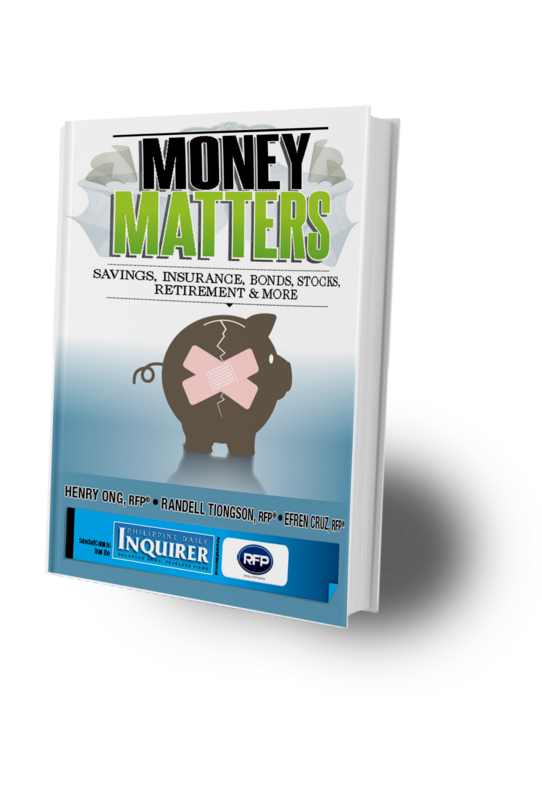 Earl Pagatpat is a registered financial planner of RFP Philippines. To learn more about personal financial planning, attend the 68th RFP program this March. To inquire, e-mail info@rfp.ph or text <name><e-mail><RFP> at 0917-9689774.